Starting Friday, September 8, the Doylestown District Center Library will offer Sensory Storytimes. This program is ideal for preschool children who are differently abled, may be on the autism spectrum, have sensory processing issues, or feel overwhelmed by noises or crowds. 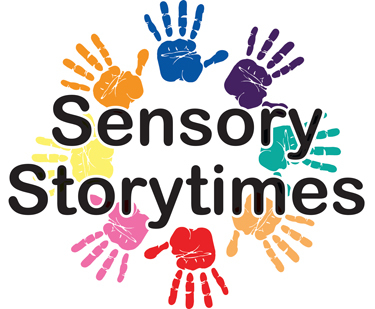 Sensory Storytimes are 30-minute interactive storytimes using preschool-level books, songs, and activities that engage a child’s five senses in developing emerging literacy and social interaction. Following storytime, children can engage in 30 minutes of monitored social play, with toys aimed at improving fine and gross motor skills, including fidget toys and weight pads. Children are encouraged to bring a favorite lovey, toy, or fidget. Many of the toys used during Sensory Storytimes are available in Sensory Kits that users can check out. Sensory Storytimes will take place every Friday, alternating every-other-week between morning (11 a.m. to 12 p.m.) and afternoon (2 to 3 p.m.) sessions. To register for Sensory Storytimes, visit our Events calendar. Due to the nature of this program, registration is limited to 10 children and their families per session. Previous Post: Announcing Discovery Studio!